Search Results for "Computer Generated Imagery"
Wireframe Text Spin Computer. 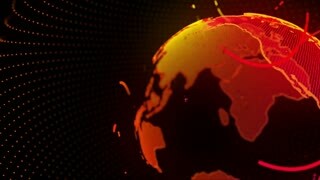 A wireframe animated text, Computer, spinning around its axis. Retro futuristic obsolete style (computer-generated imagery from the 1980s). Wireframe Text Spin Uploading. A wireframe animated text, Uploading, spinning around its axis. Retro futuristic obsolete style (computer-generated imagery from the 1980s). Wireframe Text Spin Ok. A wireframe animated text, Ok, spinning around its axis. Retro futuristic obsolete style (computer-generated imagery from the 1980s). Wireframe Text Spin News. 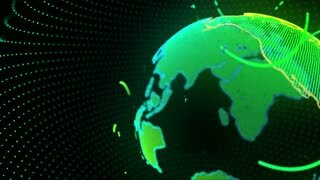 A wireframe animated text, News, spinning around its axis. Retro futuristic obsolete style (computer-generated imagery from the 1980s). Wireframe Text Spin Yes. A wireframe animated text, Yes, spinning around its axis. Retro futuristic obsolete style (computer-generated imagery from the 1980s). Wireframe Text Spin Join Us. A wireframe animated text, Join Us, spinning around its axis. Retro futuristic obsolete style (computer-generated imagery from the 1980s). Wireframe Text Spin Are You Ready. A wireframe animated text, Are you ready?, spinning around its axis. Retro futuristic obsolete style (computer-generated imagery from the 1980s). Wireframe Text Spin Were Hiring. A wireframe animated text, We're Hiring, spinning around its axis. Retro futuristic obsolete style (computer-generated imagery from the 1980s). Wireframe Text Spin Processing. A wireframe animated text, Processing, spinning around its axis. Retro futuristic obsolete style (computer-generated imagery from the 1980s). Wireframe Text Spin Retrocomputing. A wireframe animated text, Retrocomputing, spinning around its axis. Retro futuristic obsolete style (computer-generated imagery from the 1980s). Wireframe Text Spin Knowledge. A wireframe animated text, Knowledge, spinning around its axis. Retro futuristic obsolete style (computer-generated imagery from the 1980s). Wireframe Text Spin Black Friday Ready. A wireframe animated text, Black Friday, Are you ready?, spinning around its axis. Retro futuristic obsolete style (computer-generated imagery from the 1980s). Wireframe Text Spin Please Wait. A wireframe animated text, Please Wait, spinning around its axis. Retro futuristic obsolete style (computer-generated imagery from the 1980s). Wireframe Text Spin No. A wireframe animated text, No, spinning around its axis. Retro futuristic obsolete style (computer-generated imagery from the 1980s). Wireframe Text Spin Maybe. A wireframe animated text, Maybe, spinning around its axis. Retro futuristic obsolete style (computer-generated imagery from the 1980s). 3d purple mandala waving on dark ruche background.